Mart Fresh: Track toys, stunning early 911, or affordable 914? 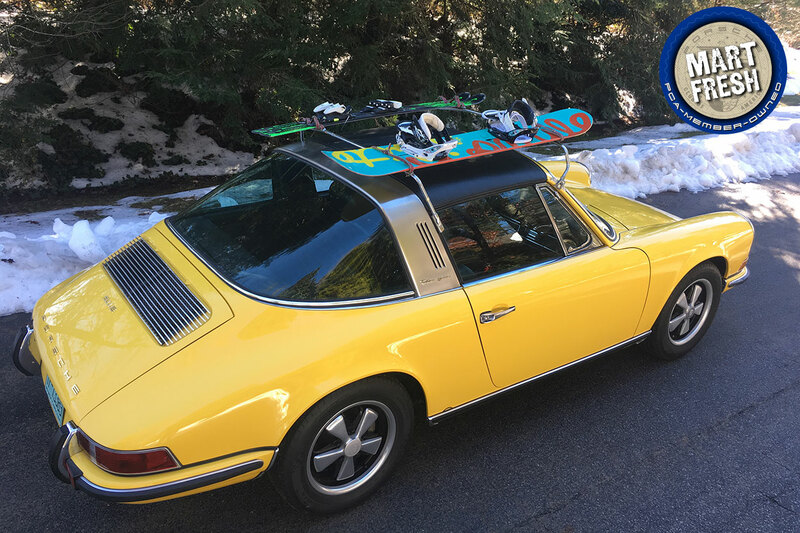 Original long-hood 911s, especially RS versions, have been at the top of the market for the past few years. Affordability aside, if you had a real one, would you really flog on back roads or track it, and enjoy it on a regular basis without worry? If your answer is no, then we may have a solution. When it comes to g-model 911s, many prefer the last iterations (1987-89) since they include the G50 transmission and the bullet-proof 3.2-liter flat-six. Here we have a 1987 model that has been backdated to a 1973 Porsche 911 RS tribute in gorgeous white with blue graphics and blue Lindsey Racing Fuchs-style wheels. The interior is very business-like with a tidy black, lightweight interior, Alcantara-wrapped dash, Recaro seats, Momo Prototipo steering wheel, brushed aluminum gauge bezels, and a Wevo shifter. I expect with the Dansk muffler and SSI heat exchangers that it emits a melodic tone that renders the in-dash radio non-essential.